It's winter. Time to be amazed by things like snow. 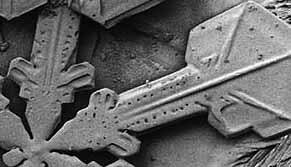 So here is some snow, magnified to extreme levels so that you can be amazed by it.